Donate to the legal fund for the brave individuals arrest shutting down polluters in Southpointe, PA. 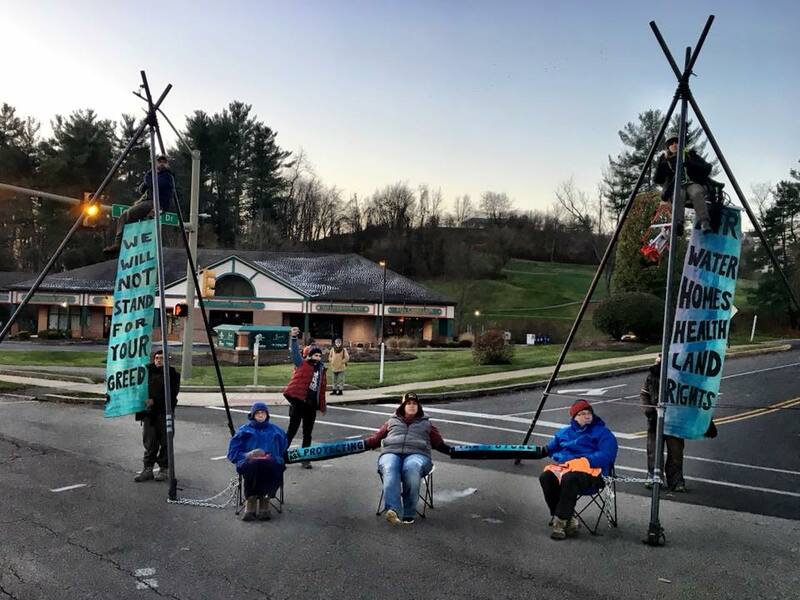 In November residents of Southwest Pennsylvania blockaded the headquarters of more than a dozen coal and gas companies including Consol, Range Resources, Rice Energy, MarkWest and Edgemark. Now they have 30 days to pay $1,600 in fines and court costs. Please donate to legal fund to support bold direct action in front line communities. For years rural communities on the frontlines of fossil fuel extraction have been working to protect and defend our lives and land, but our cries continue to fall on indifferent ears. On Monday, Rising Tide North America turned the tables. Our team blockaded a main entryway to the Southpointe complex -- called polluter central by local leaders because of the sheer number of oil, gas, pipeline and extraction companies located there. We brought a snapshot of one of the impacts to our families to a place it cannot be ignored - the entrances to the corporate offices of the energy companies that are putting profits before people. This action is a continuation of our communities uniting to make it clear that will stop at nothing to protect our families and their futures.